We chose the perfect day to go to Hurricane Harbor (albeit, a weekday might have been even better). It was warm, in the mid-80s, but not too hot. We hit no traffic on the way there (going home was a different story). We didn’t get sunburned! I didn’t leave with a headache from motion sickness. All in all, a great day at Hurricane Harbor, our first time at this water park. The entry bridge to Hurricane Harbor. 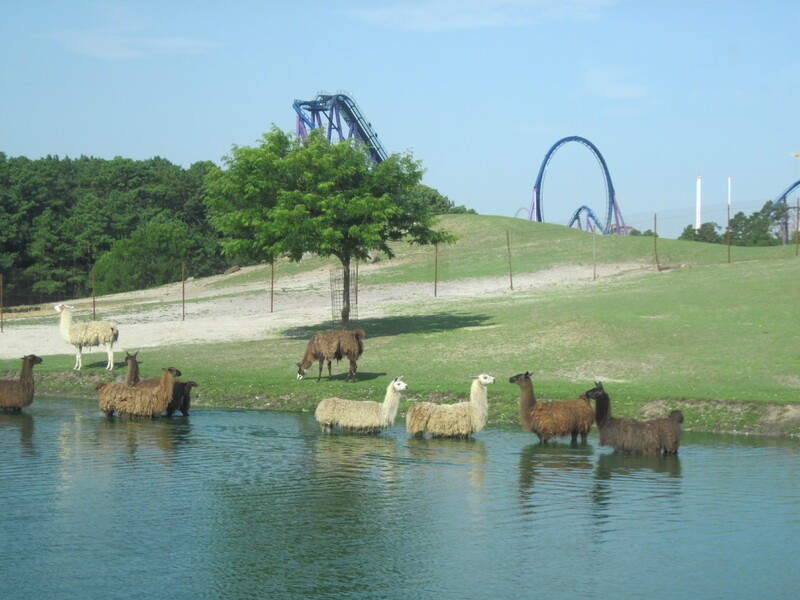 Photo courtesy of Six Flags Hurricane Harbor. We’re excited at Jersey Kids to feature a Q&A with author Jen A. Miller, whose second edition of Explorer’s Guides – The Jersey Shore: Atlantic City to Cape May, a Great Destination, just came out. Jen also keeps up with the daily shore happenings at her blog, Down the Shore with Jen. We asked her about some family-friendly Shore topics. Q: What are the best family-friendly shore towns? A: Ocean City is built for families. It’s a completely dry town (not even BYOB!) 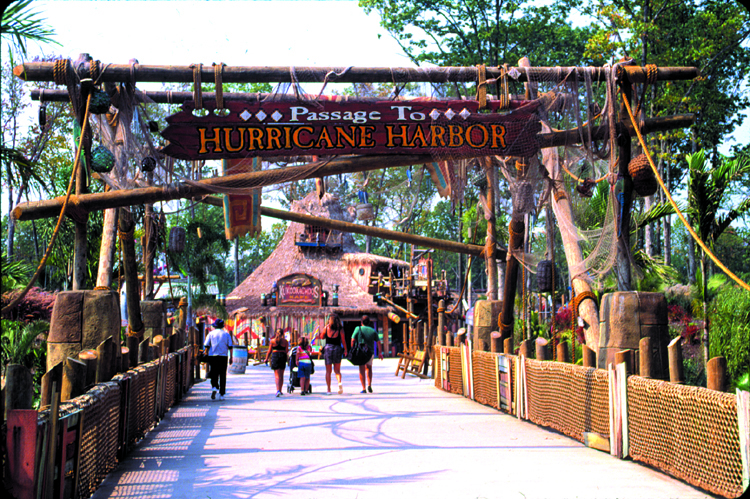 and its boardwalk is built for people who want to stroll with a stroller or two. The ride piers cater to families, too. Sure, your teenagers will find some thrills and spills, but there’s tons of stuff for the littler ones, too. 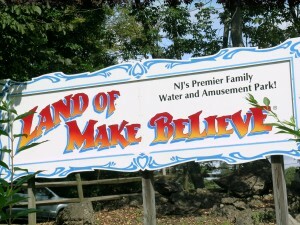 Q: What are the top 3 fun/unique places on the shore to visit with kids? A: Take them for a ride on the Carousel at Gillian’s Wonderland Pier in Ocean City. This is one of the few places where you can reach out and grab the golden ring from a carousel. It’s a gorgeous piece of art, too, that you can ride! –Silverball Pinball Museum in Asbury Park. This place is amazing. For a flat fee, you can play the machines inside this pinball museum, which is located right on the boardwalk. VERY popular with parents, too! 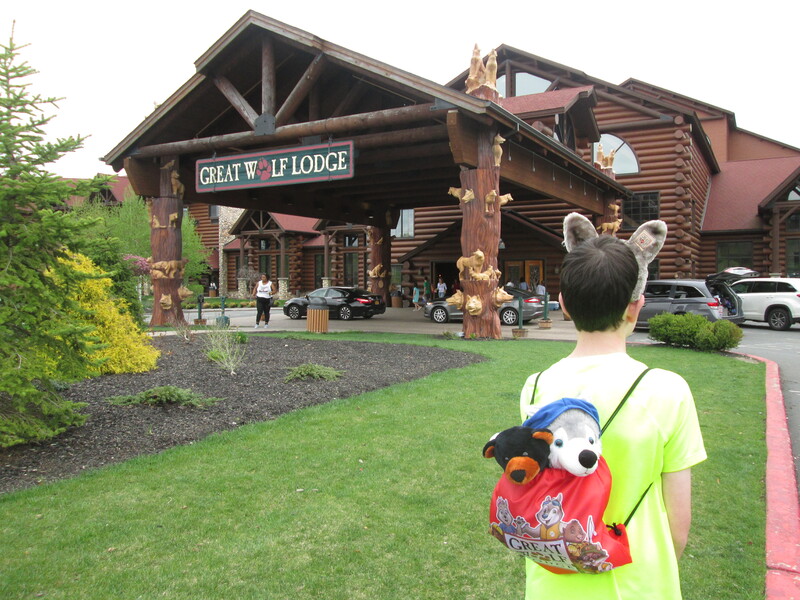 New Jersey – What to do with the kids this Summer? –Shore happenings – Jen Miller’s Down the Shore with Jen blog. The second edition of her book Explorer’s Guide – The Jersey Shore: Atlantic City to Cape May is being released now. –I recently heard Kevin Woyce speak about Jersey Shore history – totally interesting stuff. He has a book out, Jersey Shore History and Facts – check it out. Any helpful links you love? Add them in the comments! 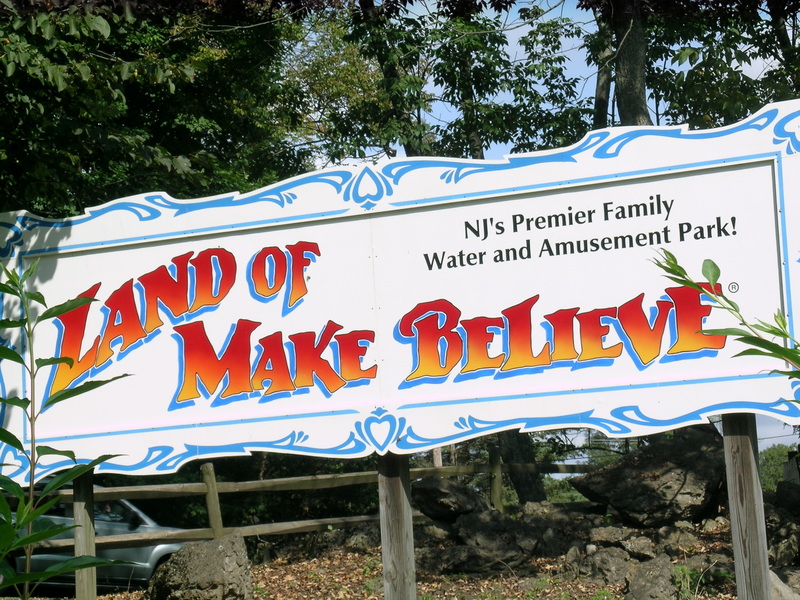 If you’re looking for some clean, family fun, and your kids are on the younger side, head to the Land of Make Believe in Hope, New Jersey. They have lots of kiddie rides and a fun water park good for both younger older kids. 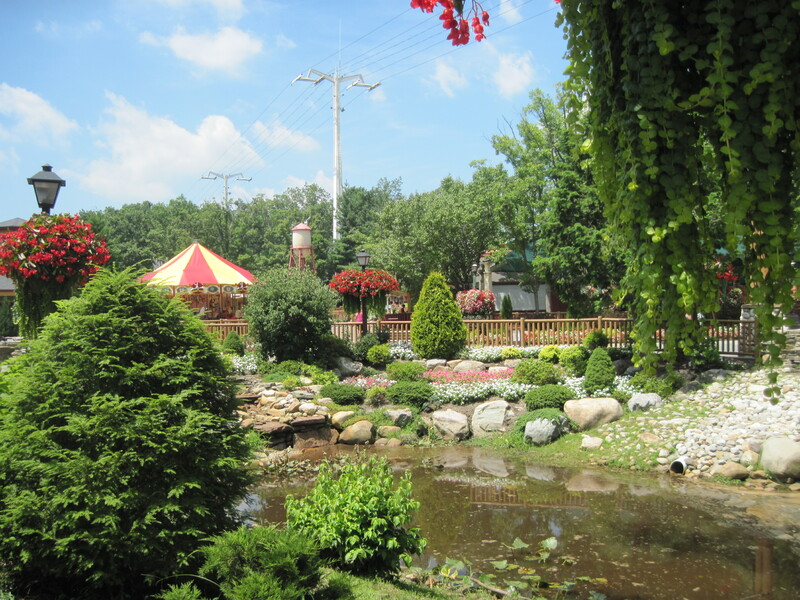 The park is quite manageable for families with young kids. It’s not too big (but not so small that you’ll get bored). The rides are geared toward kids age 6 and younger (preschoolers will be quite happy). My 8 year old was bored with most rides, and I was surprised that my 6 year old was happy to ride them. 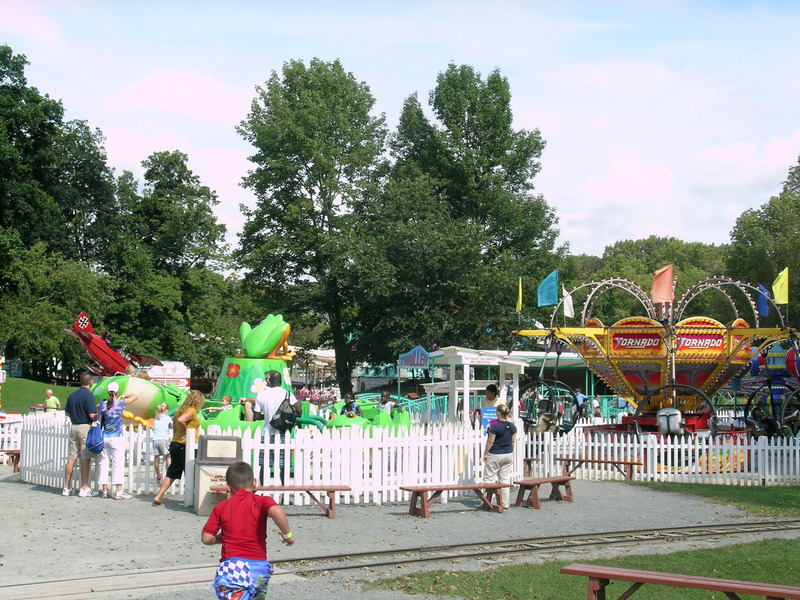 The Rides: Expect everything from a carousel to a small tilt-a-whirl. The mini roller coaster was fun for us – it goes in a loop and is good for the younger set. There probably 15 rides. Attractions: We didn’t check out the arcade, Haunted Halloween House, jump houses or Dog Pound (games). There’s also a train circling the park and a hay ride. The Show (Middle Earth Theater): The park put on a very cute interactive show featuring any kid and adult who wants in. Dori and I were part of it, and we could choose our part. The skit was funny and the kids had a great time dressing up and acting in it. Zack had fun watching. They said they want to do it again next time we go.